The harvest moon settled over the Northern Hemisphere last night- looking exceptionally beautiful above the Boston skyline! If you are anything like me, that strange floating rock had some sort of impact on you. I found myself stopping mid-bike ride to stare at the orb nestled so nicely above the Boston skyline. And I wasn’t alone. Crowds flocked to admire the celestial object in all its beauty. For centuries, people have been admiring the moon. But the moon served different purposes for ancient people than it does for us now. In Central America, the moon was a big deal– even 2,000 years ago. 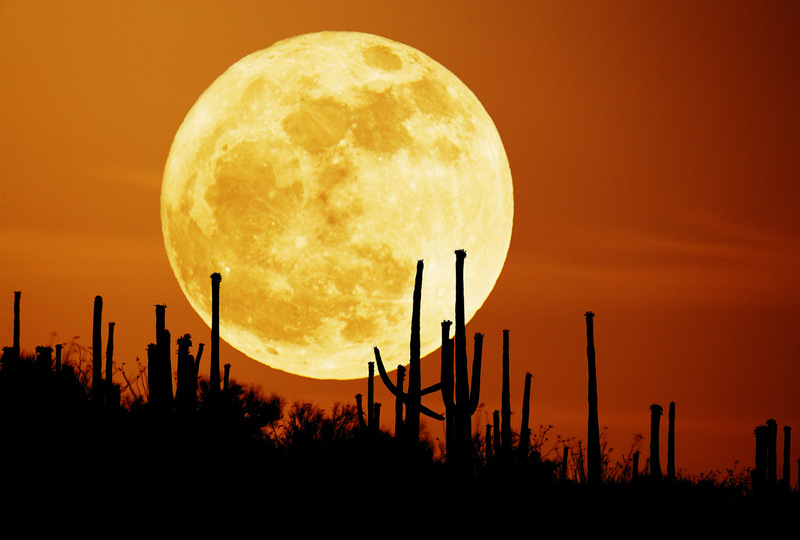 Moon worship in Central Mexican cultures dates back to origin stories involving the sun and the moon. According to legend in Central Mexico, the creation of the Sun and the Moon took place in the central city: Teotihuacan. Here, two gods threw themselves into Creation and two suns were formed. Not needing two suns, an assembly of gods then threw a rabbit at one of the suns. This event dimmed one of the suns and created the moon. The Maya (Classic Period: AD 250-900) creation story is a more elaborate tale, known as the Popol Vuh. But in both stories of history, the moon was created through a divine action. From this was born their reverence for the moon. The Mayans showed their respect for the moon through their worship of a moon goddess: Ix Chel. 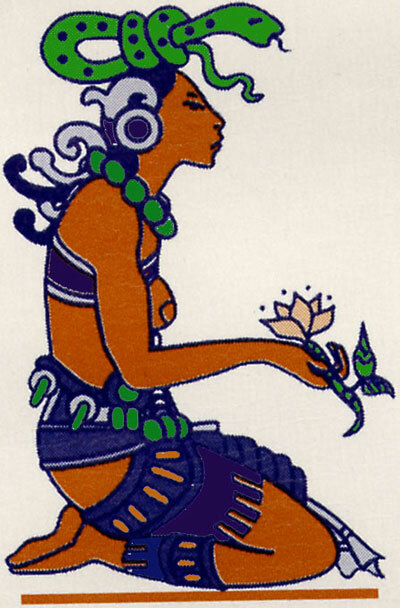 Ix Chel was portrayed as a young woman who was so beautiful that supposedly all the gods were captivated by her. All except for one: Kinich Ahau, the Sun God. Aggravated by this, Ix Chel followed him around, thus creating the cycle of the sun and the moon. There is a mystery though. Throughout history, there have been two depictions of Ix Chel: one as an old-woman with serpents for hair and the other as a young pale woman. 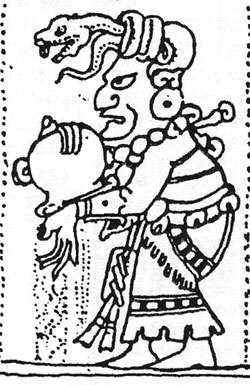 Some interpretations suppose that the old Ix Chel is associated with the full moon and the young Ix Chel is associated with the crescent moon. The Maya also used the moon to develop a highly sophisticated calendar system. They had three different calendars in use! All of these calendars were based on one smaller unit: the lunar cycle. The time between two successive new moons is called a lunation. The Mayan lunation cycle was between 29 and 30 days. Our recent calculations have shown their lunation cycle to equal 29.53086 days. Just for comparison: our modern lunation is known to be 29.53059 days. There are 250 known inscriptions that depict the Mayan lunar calendar. These inscriptions shed more light on the purpose of their calculations. Each inscription provides certain information: the name of the current moon, the number of days in the lunation, how many days have already passed in the lunation, and which of the six lunation cycles the moon is in. The oldest (known) Mayan lunar calendar was discovered in December 2012 by professor William Saturno of Boston University. Notes of the oldest known Mayan lunar calendar discovered by professor Saturno of Boston University. Our current calendar is called the Gregorian calendar. It is a Catholic solar calendar that was adopted in 1582. The Gregorian calendar was meant to align with the seasons and not moon cycles. However, we do continue to recognize the cycles of the moon. The extra light provided to farmers from the harvest moon is still celebrated today. This is precisely why this time of year we are reminded of the lunar roots in our calendar system. While the harvest moon holds less meaning to modern urbanites, it is still celebrated as a welcoming sign of Fall.